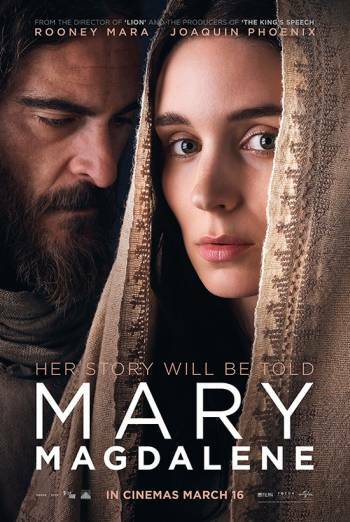 Summary MARY MAGDALENE is a US Biblical drama which follows the titular saint. MARY MAGDALENE is a US Biblical drama which follows the titular saint. Images of the Crucifixion contain sight of bloody cuts and of nails embedded in Jesus' feet and wrists. Further bloody detail includes sight of heavily bloodstained clothing during an off-screen animal sacrifice. There are also images of dead or dying emaciated people and of the aftermath of a suicide; these images do not feature strong detail. There is a non-graphic verbal reference to a woman having been raped and murdered.